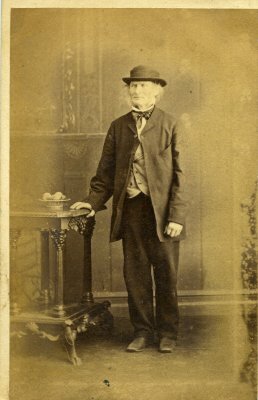 Description Isaac Aroa (Airey) born England about 1810, came to New Zealand on the ship Maori October 1855. Label for Pioneer Portraits exhibition 2011. "The dearest old man imaginable, although he could neither read or write, he would ride his horse into Blenheim for supplies, without a note and come back with all requests and correct change"